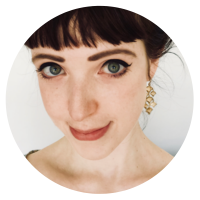 Lottie Bevan is the co-founder of award-winning narrative microstudio Weather Factory, best known for Cultist Simulator. She’s one of the youngest female founders in the industry, a current BAFTA Breakthrough Brit and founder of Coven Club, a women in games support network. She produces, markets, bizzes and arts and previously worked on Fallen London, Sunless Sea, Zubmariner and Sunless Skies as producer at Failbetter Games.